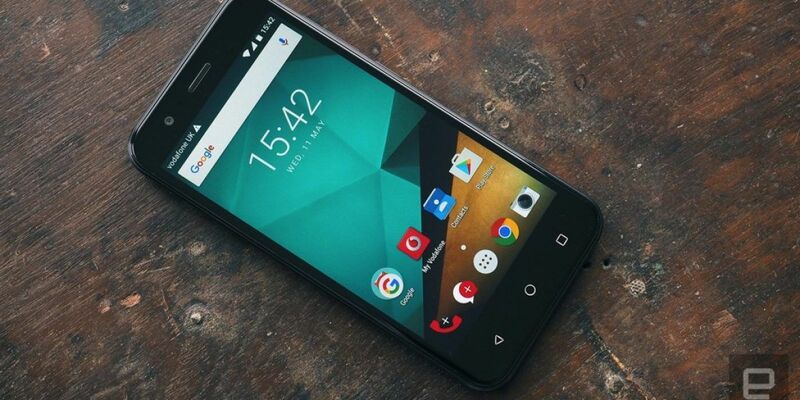 Vodafone set a new benchmark for own-brand phones with its Smart Ultra 6. The handset is actually a fiver more expensive now than when it launched almost a year ago, and yet it’s still one of the best pound-for-pound devices available in the UK. The problem with setting benchmarks, though, is that you also set expectations — expectations that the next cycle, starting with the Smart Prime 7 released today, are measured against. At £75 on pay-as-you-go, the new handset is as easy on the wallet as the Prime 6 that came before it. The problem, though, is that the Prime 7 barely counts as an upgrade. It’s not that the Smart Prime 7 is a bad phone. Despite being an all-plastic affair (available in black/silver or white/gold) and quite light at 128g, it’s a sturdy, well-built device. You get a 5-inch, 720p display, 1GB of RAM, 8GB of expandable storage (only 4 gigs are for you), the latest version of Android 6.0 Marshmallow, 8- and 5-megapixel cameras, 4G and NFC. The quad-core 1.3GHz Snapdragon 212 at its heart isn’t the fastest processor around, but it’ll handle everyday tasks with relative ease and get you through an Asphalt 8 race on low graphics settings. For £75, that’s an agreeable enough rap sheet. But compare it to the year-old Smart Prime 6, which can also be had for £75, and those numbers start to look less appealing. In fact, the Smart Prime 7 is almost identical to its predecessor, apart from its newer version of Android and a better front-facing camera. Fair enough — not every new generation needs to blow the last out of the water — but then why does the Smart Prime 6 actually possess the more powerful, quad-core 1.2GHz Snapdragon 410 processor? And therein lies the problem with the Smart Prime 7: In that one respect, it’s a step back. That said, it still represents pretty good value for money. Pay-as-you-go alternatives at the same price are limited, though O2 is selling the slightly better-specced Alcatel Idol 3 for a discounted price of £80 right now. The Smart Prime 7 is also available for free on contracts starting at £16 per month, but Sony’s Xperia M4 Aqua, LG’s G4c andMotorola’s Moto G are the same price, not to mention similarly competitive phones/contracts at other providers. 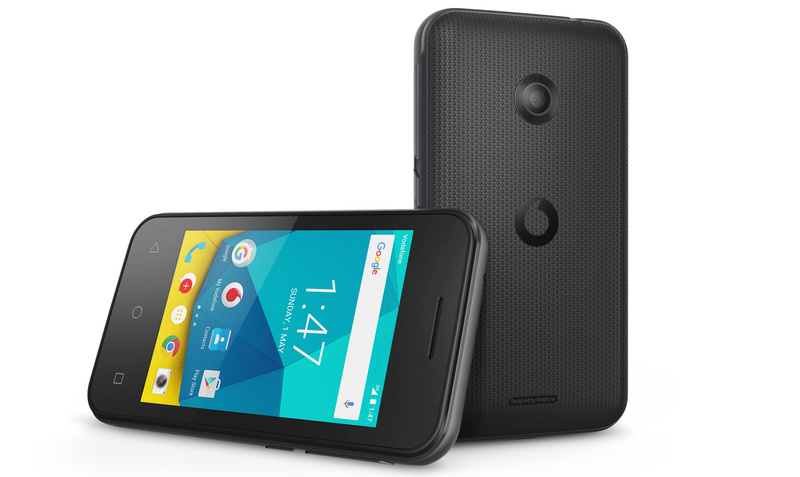 The Smart Prime 7 isn’t the only new own-brand handset Vodafone launched today. The 3G-only Smart First 7 has also made its debut, with specs that more or less attest to its £25 price point. 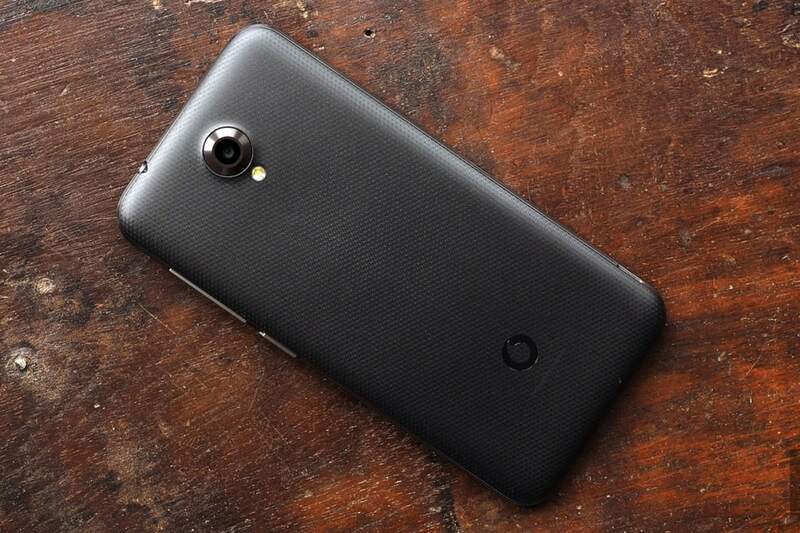 We’re talking a quad-core 1.3GHz processor, a 3.5-inch (480 x 320) display, 512MB of RAM, 4GB of expandable storage, a 2MP camera and Android 5.1 Lollipop.